It was in my folder for some of my film soundtrack work. I threw a lot of things at Maynard online and with this one he said, ‘This is a thing but I don’t know what’. We went from there, so I built it out. It really came together one night. It went from being this initial melody to being a long rock song. Maynard committing to working on something will make me go further. I don’t like to put a lot of energy into something if I don’t it’s going to work out. “There are a lot of great Siouxsie records, so much cool stuff with a lot of good guitar players coming in and out. There was obviously the curated aesthetic that Steven Severin and Siouxsie kept and maintained. 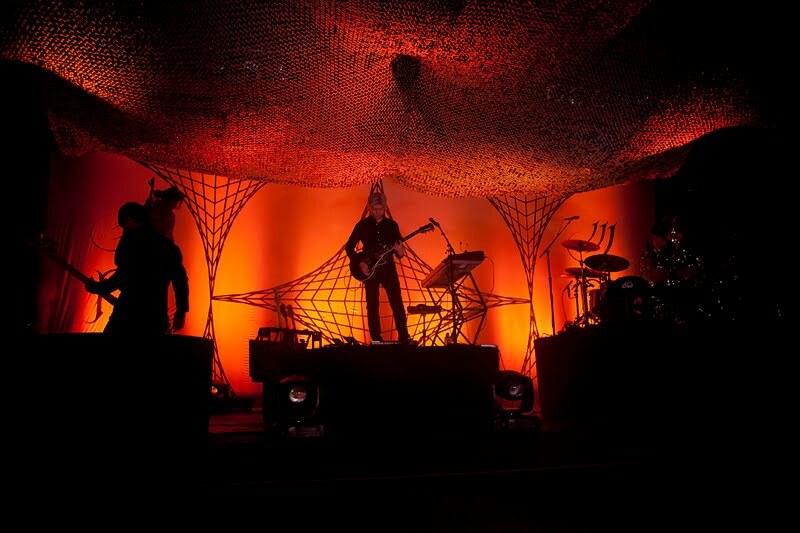 A Perfect Circle are currently on the road, just finishing off a US tour before heading for a few more dates in Europe. I suspect it’ll be the last chance to see them for a couple of years, so make the most of it! Another quick weekly update for the Fourtheye faithful! If you’re one of those lucky enough to go to a Tool show/clinic in the next week and want to avoid spoilers, you should stop reading! Maynard James Keenan and Billy Howerdel from A Perfect Circle have filmed a short, somewhat funny video for Revolver where they joke around in a wig shop. It’s not really champagne comedy, but worth a watch. 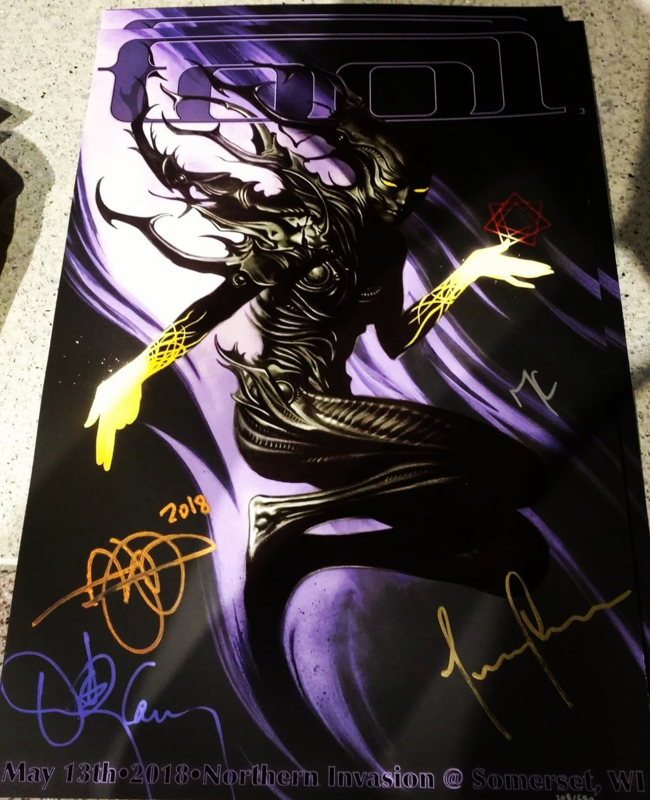 There’s a bunch of posts on Reddit which goes into detail what happened at the recent Tool Music Clinics. For the most part they sound like a cross between the standard Tool VIP experience, and an intimate instrumental only show. There’s a pretty cool Mega Thread happening on Reddit which covers and range of questions asked at the first clinic. Some interesting snippets of info! New music worth checking out! Do you like Helmet? Wrong sound a lot like an old, angry version of that band, and their albums strays very close to out right copying them at times. They have a new album called Feel Great, and great it is! Also in the Death Metal genre are Rivers of Nihil, though they have a bit more of a prog metal thing going. Their latest Where Owls Know My Name is well worth a listen! Stoner metal legends Sleep surprised us with an album about the same time as A Perfect Circle released theirs. You can stream The Sciences here. 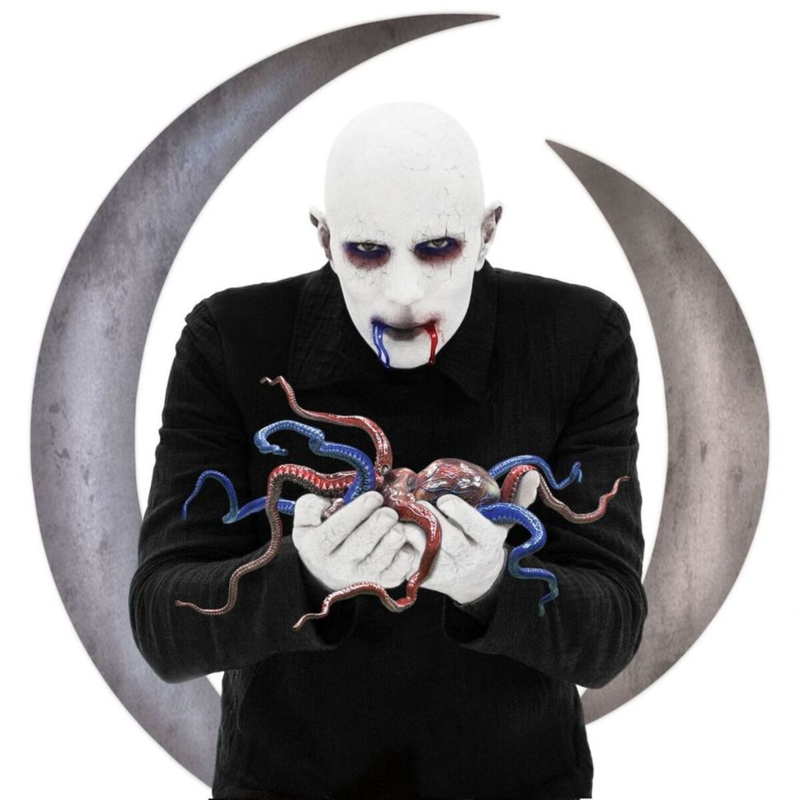 There have been plenty of interviews with both Billy Howerdel and Maynard James Keenan regarding the new A Perfect Circle record Eat The Elephant. The hype train is starting to wind down a bit now that we’re a few weeks post release, but there’s a new interview up in Vice’s Noisy website with Billy recently, and I think it’s one of the better ones to come out. How do you pick your battles, or decide when to stand your ground? Depends how intense Maynard gets when arguing with you? You know, there can be things that are triggering right off the bat. You take a minute and look back and go, “Maybe there’s something to this. Or maybe this is just a power struggle, or maybe this is just…” Like with anything, you kind of have to assess. He’s emotional, I’m emotional, and that’s why we do what we do. There’s baggage that comes with that. My least favorite question about Maynard is: “So what’s it like working with Maynard?” It’s like, “What was it like being breastfed by your mother?” I don’t know—compared to what? I can’t compare it to anything else. It’s all I know. It was just happening. I will say, you can’t be a great lyricist… If you’re tapping into all this stuff, it can be challenging to be graceful in every other aspect of your life. One thing I’ve learned from working with bands is an understanding of characters. Like when I was a guitar tech, I’d be paired with a lot of big personalities. I think it was understood that I was kind of good at navigating it. Some were tough—you know, like Axl [Rose], Trent Reznor and Billy Corgan. You can’t expect everything to go exactly how you want it to go. But if you can do everything, then why don’t you just do it yourself? Getting back to your initial question, like when do you pick your battles? I have great trust and respect for where Maynard is coming from, what he’s capable of and what he can see. Because I’m down in the trenches and have my head so far in it. He doesn’t bog himself down with the progress the way I do. So I’ll give him that he can see a clearer picture sometimes than I can. How is that process affecting work on the new recording? It’s great to be able to sit back and have someone at the helm driving the computer. It frees me up to ask for things I’d like to see happen. There’s an ego thing in play at the beginning that says, ‘Yeah I wanna do everything myself.’ Sometimes it’s faster to do it yourself and having someone else’s opinion sort of derails that something you have in mind … and you feel you can’t get there quick enough. But it eventually will come to be, anyway. You’ll get there because, ultimately, it’s cool letting someone else have some input and letting go. Then it becomes a collaborative process. Our producer, Dave Sardy is very strong-headed; he has strong opinions. It’s great to work with someone who has made a lot of records, who has seen a lot of records being made. There’s a meeting of the minds there. It’s all interesting and exhausting, a wonderful endeavor. 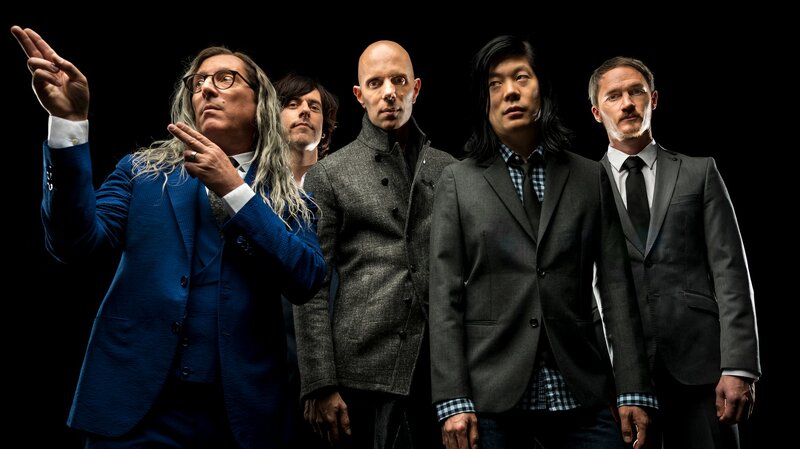 According to a number of sources, Billy Howerdel and Maynard James Keenan confirmed at last nights Q&A that A Perfect Circle will be touring in 2017, with a show announced for the 7th of May at the Hollywood Bowl in Los Angeles. There’s not much other detail at this stage, but word is it will be a decent sized tour and that new material has been worked on. More details to come soon I expect! Moderators for the upcoming Maynard James Keenan book tour have been announced today, and there are some interesting names including Billy Howerdel, Kim Thayil and Alex Grey. It sounds like these will be pretty interesting events, so get along to one if you get the chance! Tickets for all dates are on-sale now, with the exception of the Nov. 14 event at the Chapel of Sacred Mirrors, which are available to the general public on Oct. 14. 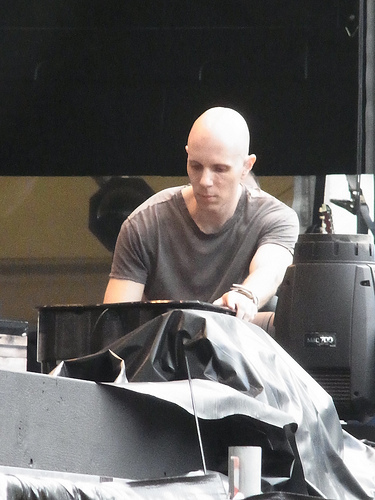 Maynard working on new A Perfect Circle? I can never find links to the Pulse of Radio interviews on-line (I suspect it’s some kind of radio station) but I think this came from the same interview I quoted yesterday where Maynard mention he expected Tool to be working together again next year. Personally I hope Maynard finds more time for Tool sooner, rather than playing around with APC again. According to James, Ashes Divide (I forget how that stupid upper/lower-casing of letters goes….) are playing on the Rock on the Range show in Columbus, Ohio. For anyone who wants to see APC-lite, check them out. Stone Temple Pilots have reformed for the show too, presuming of course Scott Weiland can get out of rehab. Good luck! 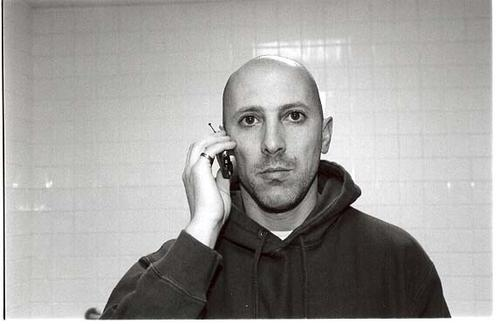 My last question, I’ll admit a Tool question again, you mentioned in a recent interview again that Maynard is in full Tool mode and that’s why he can’t do [a new album for] A Perfect Circle right now. Do you mean he’s actually writing with them at this point? I thought it was common knowledge that those guys are putting out a record next year, so he’s been writing for a bit. Yeah, he’s ‘in demand’ I should say. A great interview well worth checking out! Also another track, The Hollow from the Live DVD has been released on Loudwire.